Safe and secure seaports are fundamental to protecting our borders and moving goods. 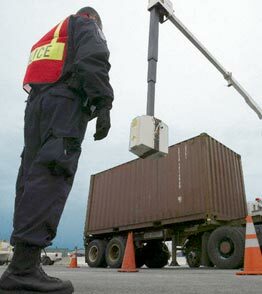 Security is one of the highest priorities for the seaports of the Western Hemisphere. Protecting the people and freight that move through our seaport borders and their surrounding communities is essential to keeping seaports safe and open for business. AAPA and its members collaborate with both government officials and private-sector security experts to maintain and enhance seaport security because protecting our borders is a shared responsibility. Seaport related jobs account for $649 billion in personal income. Seaports move more than 4.5 billion tons of cargo in and out of the Western Hemisphere annually.